Categories: Aboveground and in-ground are the two main types of pools. 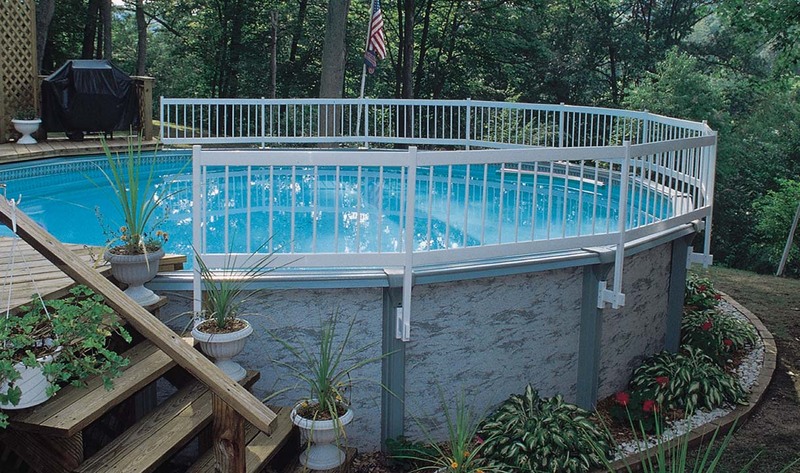 Above ground pools are less expensive, less permanent and come in a choice of sidings (resin, aluminum, steel). There are also inflatable varieties. These are typically do-it-yourself projects. In-ground pools – more costly, larger and permanent – come in four basic types; vinyl liner (a linter is attached to a frame built in the excavation), aluminum (a cheaper material but not as sturdy), fiberglass (a large factory into an excavation by crane) and concrete (construction on-site to your specs and available in these, professional installation is the norm. Is it worth your while? A key consideration – before size, depth, shape or cost is whether you are planning to stay in your home for a while. If confronted with a foreclosure, layoff or job transfer, there are few alternatives for relocating the pool. Design. Harrison said have a pool design in mind before visiting and installer. He suggested checking out pool websites or doing an online search of pool images. Construction. An above ground pool can be set up in a few hours if youo have capable help and have done the necessary preparation. Tome frames for in-ground pool can vary from one to three weeks (vinyl-lined), to two weeks (fiberglass) to up to we weeks (concrete). Life expectenancy. Above ground pools can last 10 or 15 years or more; their liners will need replacement in 6 to 10 years, depending on use, care and climate. In-ground pools have longer life spans. A vinyl liner mat have to be replaces in 10 years; a concrete pool is durable and can last for decades. If you live in an earthquake-prone area, fiberglass may be a better choice because it has some give. Safety. This is one area people overlook. Above-ground pools, protected by gates and locks are safer when it comes to children. In-ground pools can be made safer through technology – infrared sensors, gate alarms, locks, video cameras, etc. But homeowners are often lax. For questions and to get more information about Connecticut Real Estate and Condominium Property Management, visit www.BarberinoRealEstate.com or call Alan Barberino at 203-265-7534.